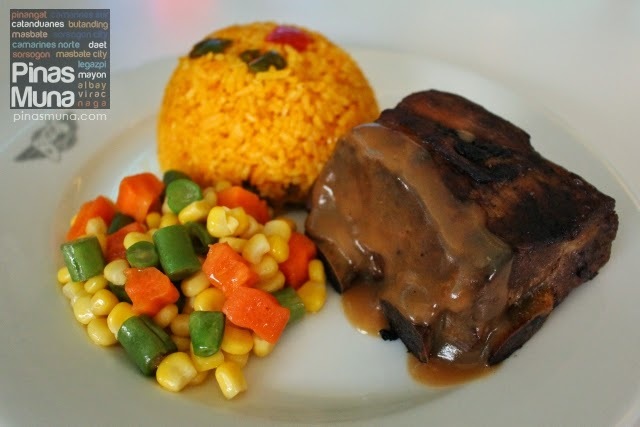 Bigg's Diner Sorsogon is a fastfood restaurant in Sorsogon City offering classic Filipino and American dishes set in an American retro diner. 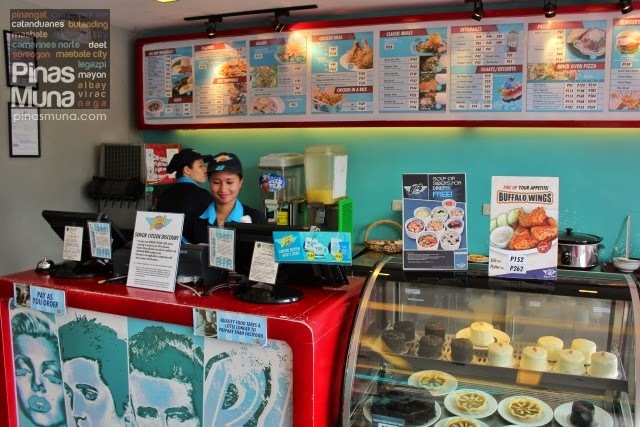 It is part of Bigg's Diner Group, the biggest food chain in the Bicol Region with a total of 15 branches including three branches in Batangas and Laguna. Bigg's Diner Sorsogon is strategically located in the commercial center of the city, near Save More Supermarket. It is easily accessible either by tricycle or just by walking. 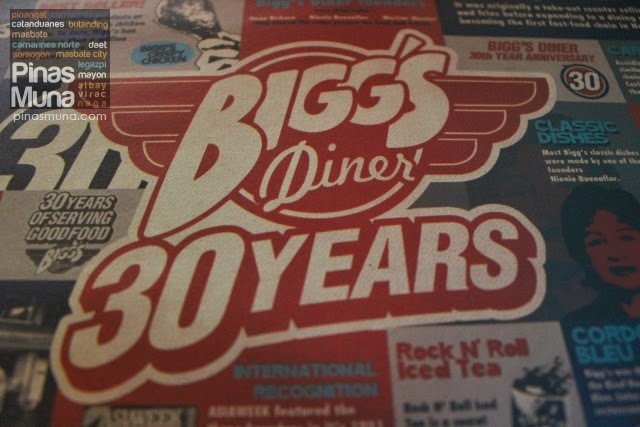 Bigg's Diner first opened in Naga City back in 1983. 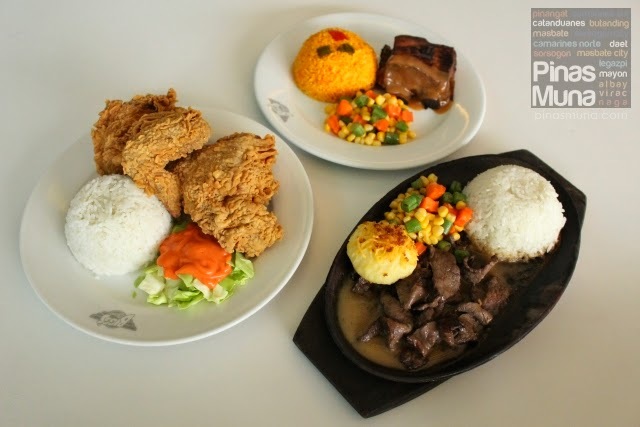 Thirty years after, Bigg's Diner has become a household name in Bicol for high quality Filipino and American comfort food at very affordable prices. Whenever we visit Bicol, we always make sure that we eat at Bigg's Diner. It was in April 2011 when we first tried Bigg's Diner during a summer trip to CamSur with our barkada. Everyone in our group enjoyed their food and it was one of the best dinners our group had during that trip. 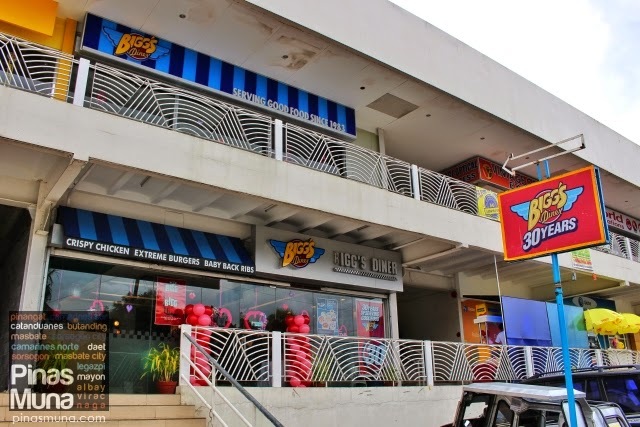 In March 2012, we visited Legazpi City and had one of our lunches at the Bigg's Diner branch in Embarcadero de Legazpi. The quality of the food was consistent and the prices perfectly fits our daily budget for meals. Just recently in February 2014, we stayed for two days in Sorsogon City during our Bicol-Samar-Leyte trip. We were very glad to know that there's a Bigg's Diner branch in Sorsogon. 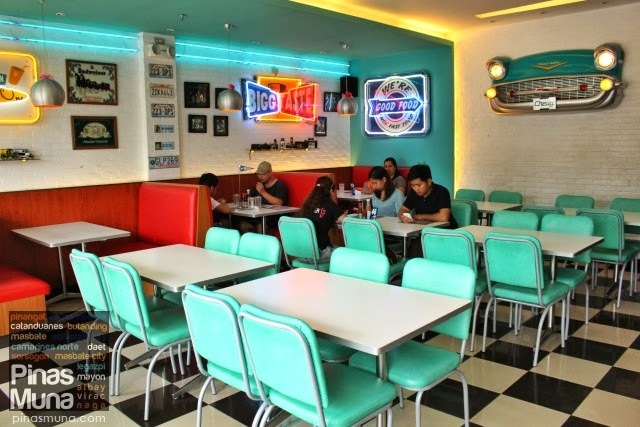 Just like in all of its branches, Bigg's Diner Sorsogon has an American diner inspired interior. 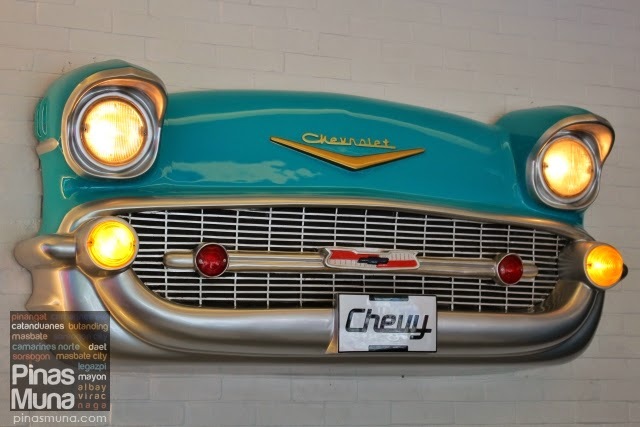 We like the colorful neon lights on the walls. The diner booths and retro chairs really made us feel like we are in an American diner. 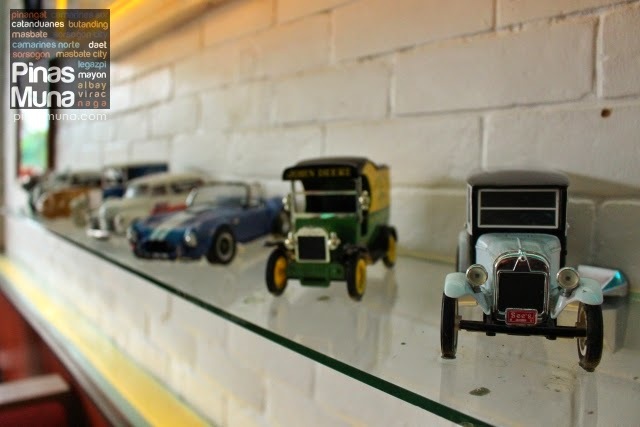 There are also vintage toys and accessories on display inside the restaurant, further adding to the overall retro ambiance inside the restaurant. 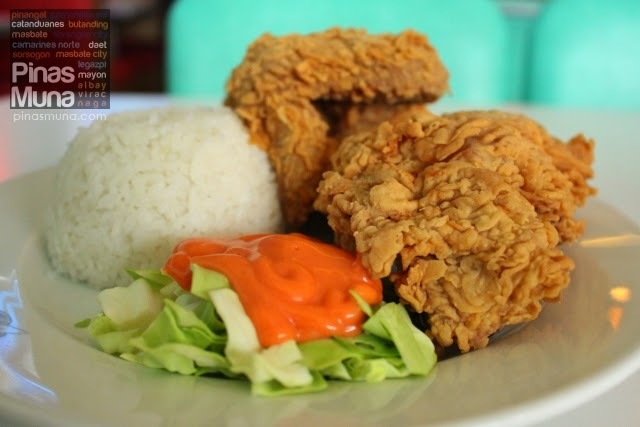 As the name suggests, the Crispy Chicken (P154.00) is really crispy, but the meat is very tender and juicy. Even the breast part wasn't dry at all. It also has a very well balanced flavor, not too salty and not too garlicky. The pieces of chicken were also large. It is served with one cup of steamed rice and a side of salad. Bicolanos don't eat their fried chicen with gravy or any kind of sauce, you don't need it anyways since it is delicious in itself. Their Baby Back Ribs (P225.00) are grilled just right so that the meat are tender to the bite. It is served with java rice, buttered vegetables and a very savory gravy. What's very notable is that their ribs are very meaty. This is because Bigg's Diner uses the end portion of the ribs which is meatier and juicier. 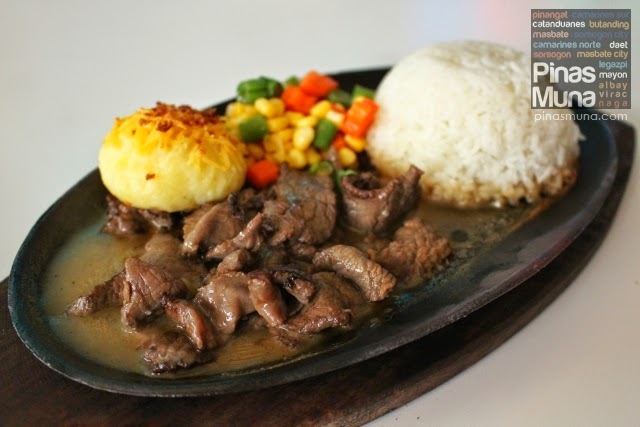 Thinly sliced beef Tenderloin Tips (P156.00) are served on a sizzling plate and smothered with rich gravy. It comes with a cup of steamed rice, buttered vegetables and baked mashed potato. The tenderloin tips are very tender while the gravy is perfectly flavorful and goes perfectly with the rice and baked mashed potato. We also sampled some of their desserts such as the Carrot Cake, Pili Pie and the Cookie Monster Cake. 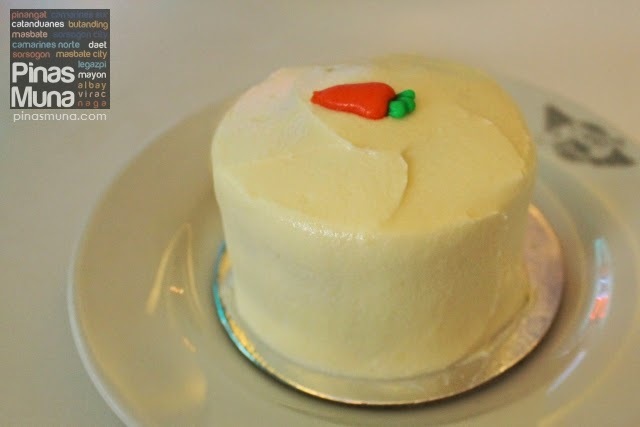 The Carrot Cake is moist with a very light flavor. The frosting is perfectly sweet and does not overpower the carrot cake. The Cookie Monster has the perfect balance of sweetness and chocolate flavor. 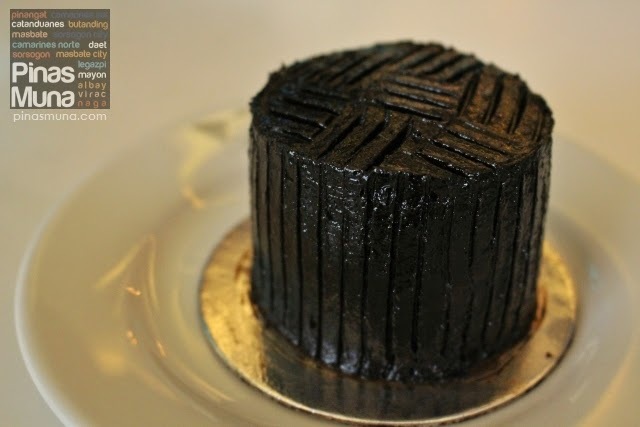 It's not overwhelmingly sweet like most chocolate cakes. Our favorite would be the Pili Pie because it best represents Bicol. The light nutty flavor of the pili is perfect for any kind of dessert. 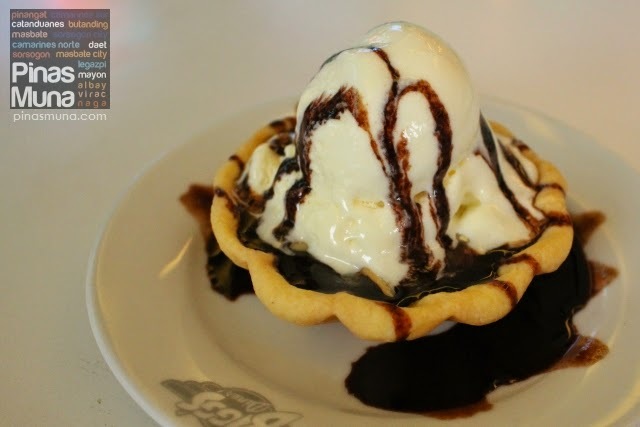 Mixing it with chocolate syrup and topped with vanilla ice cream makes this a perfect dessert. We also spotted some of the souvenir items on display at the restaurant. They have mugs and plastic bottles and tumblers. They are great pasalubong items or for personal use back home. 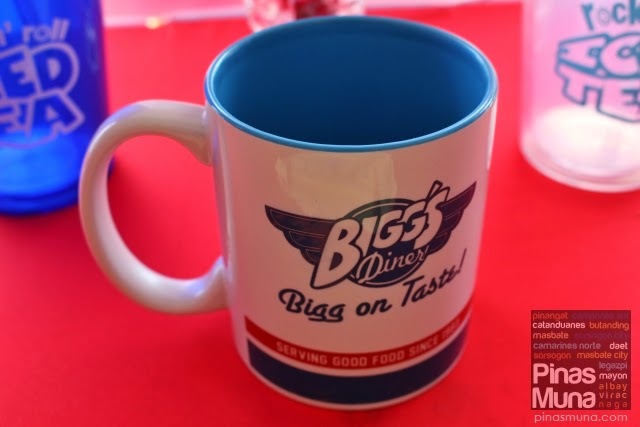 On our next visit to a Bigg's Diner, we will surely buy one of these souvenir items. 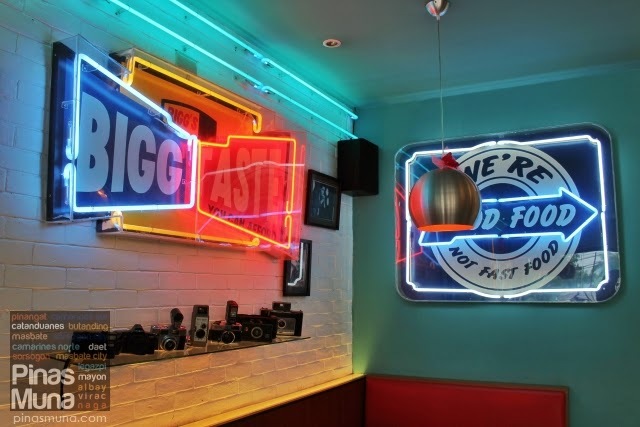 Bigg's Diner is a perfect place to celebrate special family ocassions or rewarding yourself after a long day's work in the city. 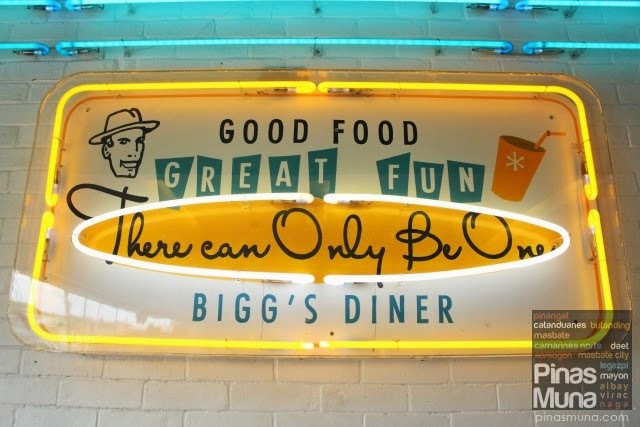 For visitors, dining at Bigg's Diner is a great way to unwind after a long day of exploration and adventure. Our lunch at Bigg's Diner Sorsogon definitely made our visit to the city complete. Disclaimer: Bigg's Diner hosted our lunch in Sorsogon City. Thank you very much for having us.